Because you create your own schedule, Discovery Camp is the best! Choose from over 20 different activities to fill your day. There is always something new to discover. Do you want to play sports, code, and get creative by writing or painting? Or act, knit, and take on challenges? Or even more? Then this is the camp for you! 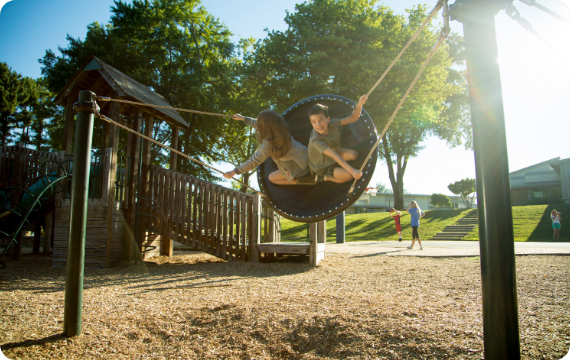 The relaxed, positive atmosphere in Discovery Camp encourages exploration. So choose old favorites, or discover new abilities and talents, and make friends. The focus is on fun! We give Discovery campers their schedules on the first day of each session. The first Wednesday of each session is Change Day. If a camper wants to make a schedule change, and if space allows, campers visit the director on Wednesday! 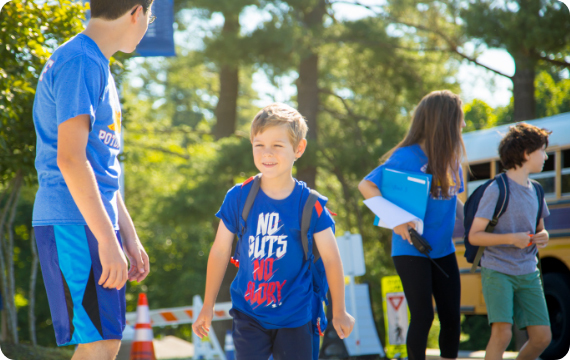 Parents can experience Discovery Camp on Parents’ Day! We invite parents to join their campers on the last Thursday of each session. Come for one activity, or more. Or bring your lunch, and stay for the entire day! Dress comfortably since you too can participate in camp! If you ever said to your camper, “Wow! I wish I could take that class, too,” then don’t miss Parents’ Day! Scroll down to read the descriptions for all the Discovery Camp activities. Take your stance, nock the arrow, and draw the bow. Use your dominant eye to aim at the target, and release! Learn archery skills and terminology while following the rules of the range and using safe techniques. Bring your imagination and creativity, we’ll supply the materials! 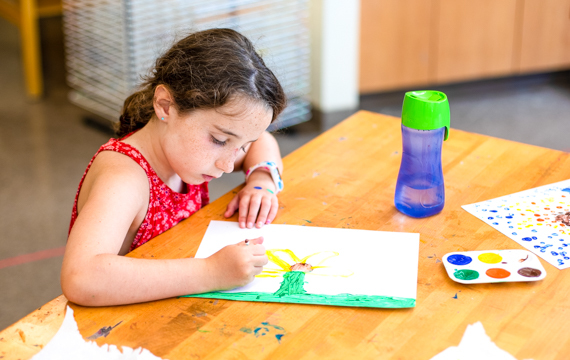 Explore a variety of techniques and mediums while drawing, painting, sculpting and crafting. The possibilities are endless! Pencil, paper, and geometric shapes are all you need to create your own cartoons! Learn to recognize simple forms and patterns in finished cartoons – then use these tricks to create your own cartoons! Campers will also have access to iPads to create digital cartoons. Sharpen your mind with the greatest game of the millennium – Chess! For almost 2000 years the goals of attack and defense, culminating in checkmate, have inspired chess players all over the world. 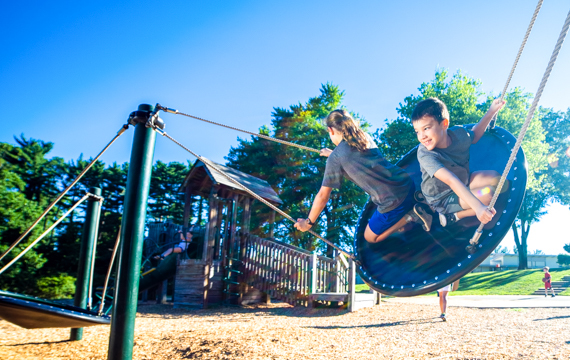 Develop concentration, critical thinking, problem solving, and creativity while playing friendly games with an emphasis on learning the strategies of the game. All levels are welcome. Craft sculptural and functional ceramic art projects, designed with both beginning and experienced campers in mind. Create coil pots, slab roll mugs, tile work, and a variety of figures with earth and air dry clays. Earthen clay creations will be glazed and fired in the kiln at camp! In today’s digital world, coding is now both an essential skill and FUN! Campers will use different engaging platforms (including Harry Potter coding wands!) to creatively learn computer programming. Have you ever watched Star Wars or the Summer Olympics and wondered about the fencing you saw? 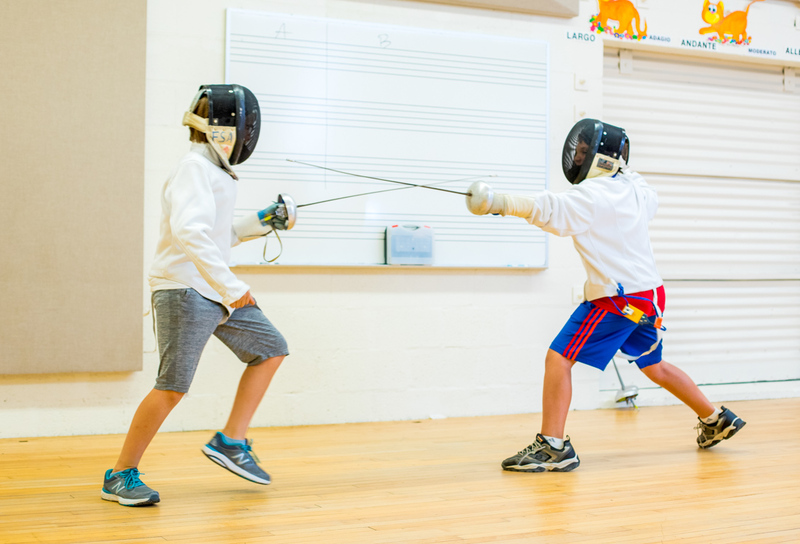 Enter the exciting world of fencing in a friendly, encouraging environment with the expertise of professional coaches. Fencing is a physically active, mentally engaging, strategic-skill sharpening sport! New fencers gain basic knowledge of the sport. Experienced fencers improve their strategy, physical conditioning, and technique. All levels welcome. Beat the heat and get your workout on indoors. Engage in friendly competition in an encouraging environment while playing Basketball, Pickleball, Floor Hockey, and more. and balance while learning new skills on a variety of gymnastic apparatus. Grab your knitting needles, your favorite yarn and knit one, purl two! This activity is for beginners who want to learn the basics or experienced knitters who want to learn new stitches and techniques! Needles and yarn are provided. Whether you’re shy or the star of dinner every night, learn to speak out clearly, enthusiastically, and confidently. 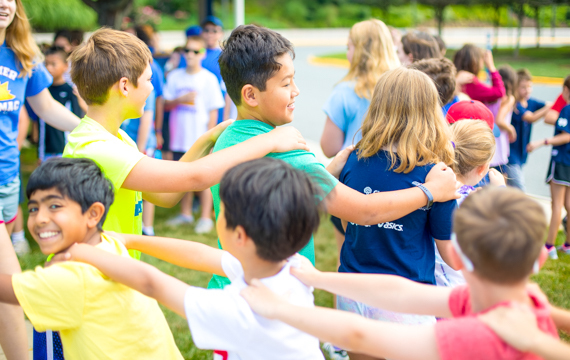 Campers will play theater games focused on improv, script-reading, voice projection and movement and will explore different types of theater. This class is not available in the afternoon. Ready to surprise your friends and family with your magic act? Learn basic magic tricks sure to delight and entertain your audience. Makerspace provides hands-on challenges to creatively inspire campers to design, experiment, build and invent while engaging in science, engineering and tinkering. Math – Believe it or Not! In this new activity, campers are encouraged to think outside of the box. Discover patterns found in nature, in art, music, astronomy, and in numbers themselves! Play math games, explore sequences, while learning the “language” and history of math. 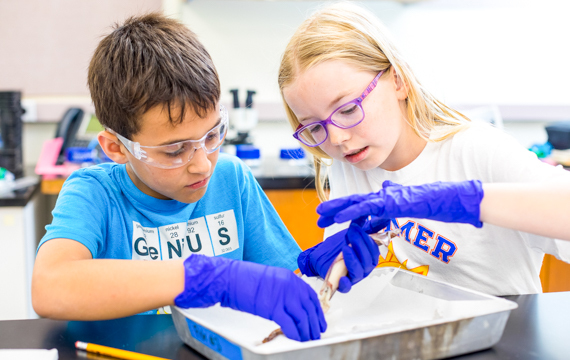 “Replicate the circumstance, then duplicate the results!” Campers will build mechanical devices to recreate the environment of the myth and engage in friendly competition with fellow campers to see who can dream up a more successful solution to recreate the results. Have fun developing strength, flexibility, speed, and endurance in our new ninja skills class. Campers work individually and in teams to problem-solve and gain confidence while overcoming all of the obstacles! Experience the great outdoors while having fun with fellow campers! 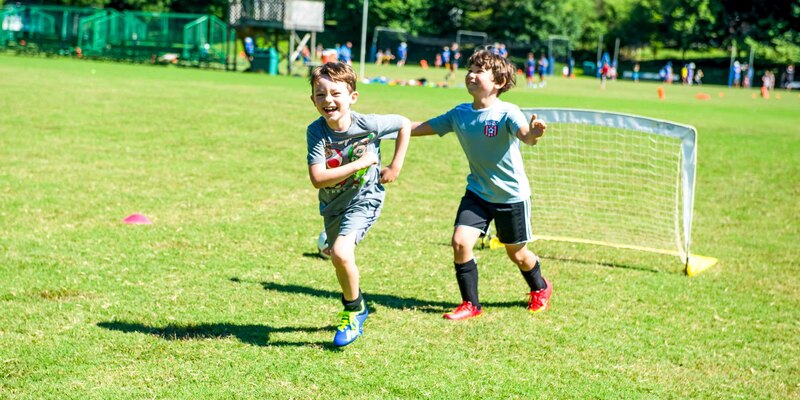 Play Soccer, Capture the Flag, Wiffle Ball, Gaga Ball, and more – every outdoor game you can imagine is available on Summer@Potomac’s 90 acre campus! Robotics – Grade 3 – New! Using the LEGO NXT system and icon based programming software, 3rd Grade campers will work in teams to construct and program robots. 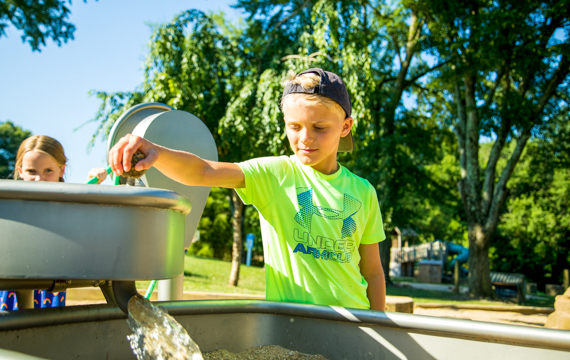 Campers will learn about structure design using simple machines, and sharpen their problem solving skills. This one-block activity is for our youngest Discovery campers and is intended as an introduction to robotics. This two-block activity allows campers delve into real-world problem solving through the use of robotics. Using the LEGO NXT system and icon based programming software, campers will work in teams to construct and program robots to meet specific challenges. Campers learn about structure design using simple machines, and sharpen their problem solving skills. Requires two activity blocks during registration. Come on down to the pool! 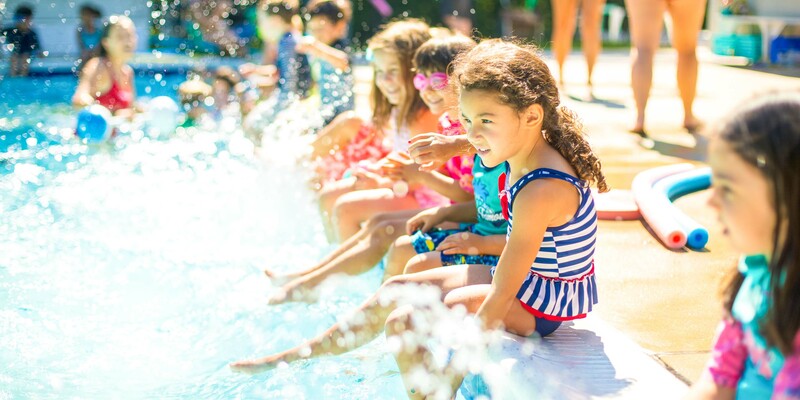 Swimming ability levels are assessed on the first day and campers are grouped with experienced swim instructors for daily lessons. Pool safety is strongly emphasized throughout our aquatic program. Campers will also have “free swim” under close supervision of our lifeguards and swim instructors. 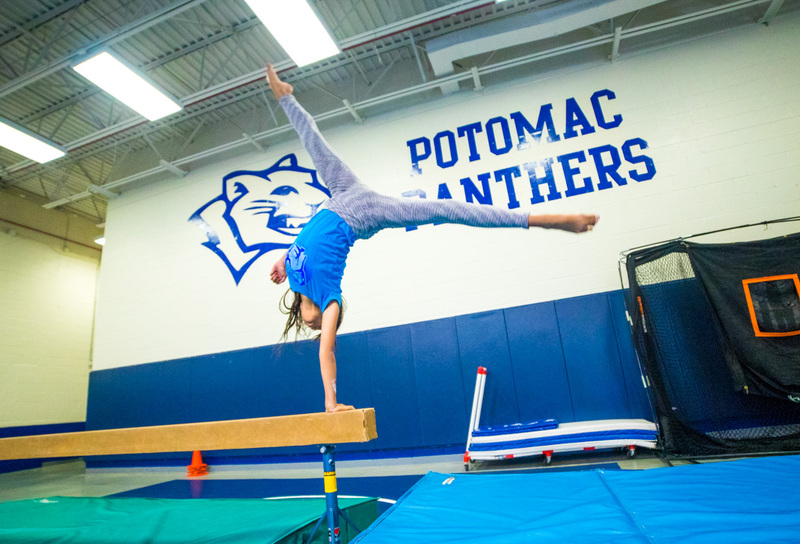 Summer@Potomac has its very own game room complete with Ping Pong, Air Hockey, and Foosball tables. Test your skills individually or pair up with a friend to challenge others! 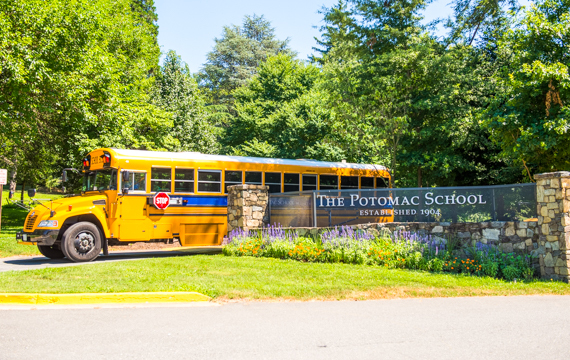 Explore Summer@Potomac’s 90+ acre campus including ponds and streams – spend time hiking the nature trails, discovering the diverse variety of plants and animals, and more! Create your own writing in a relaxed, stress-free atmosphere. Experiment with different styles and bring out your inner author.